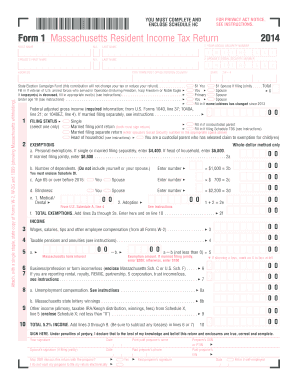 Non-Residents or Part-Year Residents: Form 1 NR/PY and Form1-NR/PY Instructions; Residents: Resident Income Tax Form and Resident Income Tax Form Instructions. 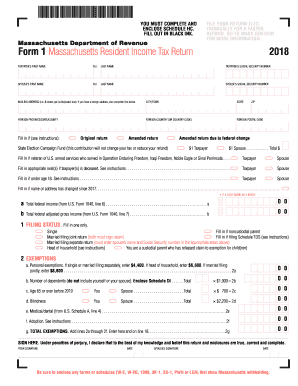 Massachusetts Department of Revenue - Forms and Publications. YOU MUST COMPLETE AND ENCLOSE SCHEDULE HC. 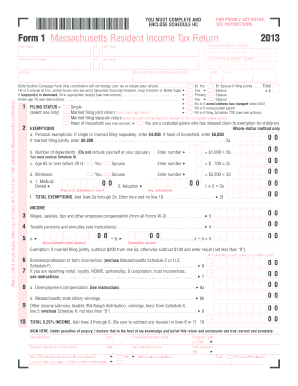 FILL OUT IN BLACK INK.Massachuset ts Department of RevenueFILE YOUR RETURN ELEC TRONICALLY FOR A FASTER REFUND.